Eric Hickey, the winemaker at Laetitia Vineyard & Winery in California’s Central Coast has employed whole cluster fermentation for about a decade and has crafted some impressive whole cluster fermented Pinot Noirs. Recently, Hickey discussed the use of stems in winemaking in a release that I thought should be passed along. As most readers know, whole cluster fermentation involves the use of the entire bunch or cluster of grapes, including the stem, in alcoholic fermentation. The winemaker can vary the amount of whole clusters included in the fermenter. The goal is to tone down fruit characteristics and add another dimension to the wine. In Burgundy, whole cluster fermentation has been used for centuries, at least in part due to the convenience of tossing entire bunches into fermenting vessels and the lack of de-stemmers. The hallmark of whole cluster wines, a signature burnt tobacco note entwined with fruit aromas and flavors, became synonymous with Pinot Noir from the Old World. 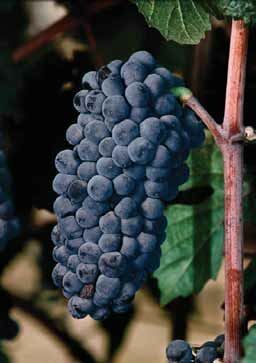 New World winemakers have used this method for many years, but fruit-driven and de-stemmed Pinot Noir became popular in the 1980s and 1990s. Today, many winemakers are moving away from “pure-fruit” Pinot Noir by fermenting clusters whole to impart complexity, tannic grip, and a lift on the palate. Consumers have been enamored by whole cluster fermented Pinot Noir. Hickey says, “It usually appeals to those who prefer a Pinot Noir with more power, structure and less pure red fruit on the nose. 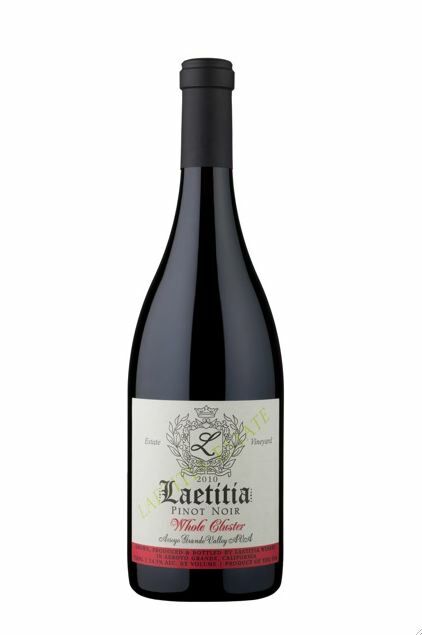 The 2012 Laetitia Whole Cluster Pinot Noir is currently offered at $40. Visit www.laetitiawine.com.